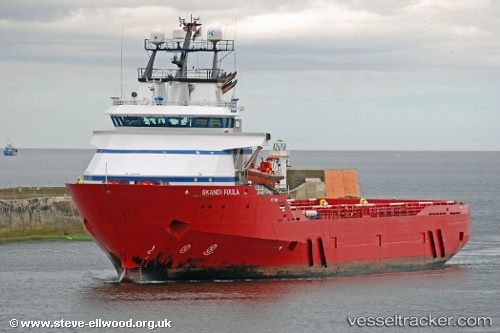 The "Skandi Foula" from which about 1,000 litres of fuel oil leaked into Aberdeen Harbour is to go into a local dry dock for inspections and possible repairs. The oil spilled from the vessel on Sep 23, 2011. The affected area was cordoned off. 500 litres of oil have been recovered. The remaining fuel created a light sheen on the surface of the water. There were no reports of any oil outside the Torry dock in the River Dee. The relevant authorities have been informed including liaison with the harbour master.